Welcome to the website of Bharda New High School and Jr. College, situated in the heart of South Mumbai opposite the famous CSMT station. Our 128-year-old institution offers comprehensive education from Pre- Primary to Junior College with highly experienced, qualified, skilled and dedicated staff. We at BNHS provide a challenging academic environment emphasizing the acquisition of knowledge, understanding, critical thinking, problem-solving abilities as well as social and personal growth. We prepare our students to be responsible, self-confident and encourage them to explore their potential to the fullest. We offer a range of opportunities for all our students to achieve excellence in academic, creative, social, cultural, sporting and community endeavours. Our aim is to build an innovative environment for our learners, keeping up our motto ‘Ever New’. As the Principal of Bharda New High School and Jr. College, I have the privilege of bonding and witnessing amazing transformation of children under the guiding presence of our trustees, teachers, parents and other members of our institute. It will be a great pleasure to share this journey through our website. With a long and rewarding history of achievements in academics and extracurricular activities behind us, we surge forward with confidence, pride and enthusiasm. 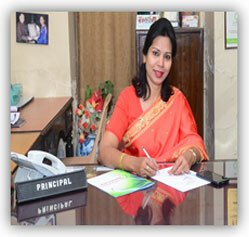 We welcome you to experience the joy of learning at Bharda New High School and Jr. College.